New York, Vermont, Virginia and many others all have one thing in common – infanticide. All three states legalized third-trimester abortions. Colorado, New Hampshire, New Mexico, Oregon, Vermont and Washington D.C. either proposed or already legalized genocide. “If a mother is in labor, I can tell you exactly what would happen. The infant would be delivered. The infant would be kept comfortable. 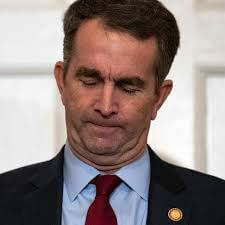 The infant would be resuscitated if that’s what the mother and the family desired, and then a discussion would ensue between the physicians and the mother,” Northam said in an interview. No wonder the film “Unplanned” opened at No. 4 at the box office. The film tells the story of Abby Johnson, the former Planned Parenthood director who became a pro-life leader after witnessing a late-term abortion. People no matter where they stand on the issue, know late-term abortion and abortion as an act of birth control is wrong, and the support for the film isn’t a revelation. 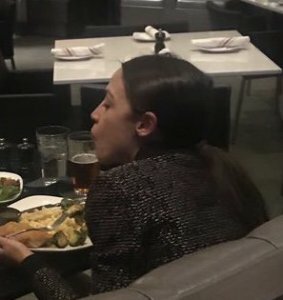 AOC trends in the news again with her white wine, building furniture, and spewing off more absurdity. The representative, 29, from New York is pursuing aspirations of altering the Constitution so she can run for the Oval Office. The current age to run is 35 and has been so since 1789. This comes from a woman who tells us we can’t eat hamburgers, while she chows down on hers at a restaurant. Just visualize this immature, woman becoming the leader of this country. For infanticide, we need to speak up and out, even at the box office. Read more about Corine at her TLBTV Show Host page. (TLB) Comment Policy: As a privately owned web site, we reserve the right to remove comments that contain spam, advertising, vulgarity, threats of violence, racism, or personal/abusive attacks on other users. This also applies to trolling, the use of more than one alias, or just intentional mischief. Enforcement of this policy is at the discretion of this websites administrators. Repeat offenders may be blocked or permanently banned without prior warning. Disclaimer: The Liberty Beacon websites contain copyrighted material, the use of which has not always been specifically authorized by the copyright owner. We are making such material available to our readers under the provisions of “fair use” in an effort to advance a better understanding of political, health, economic and social issues. The material on this site is distributed without profit to those who have expressed a prior interest in receiving it for research and educational purposes. If you wish to use copyrighted material for purposes other than “fair use” you must request permission from the copyright owner. Thanks Erin L and the author is aware of your comments. Deanna … it may just be because every other news organization (MSM or Independent) is also calling her AOC at one time or another … PLEASE LOOK! We are NOT Lazy, and don’t appreciate the accusation. If you are not involved with the news enough to know who AOC is … it is NOT our fault. Thanks for your comment! I read the headline wondering what is AOC. I figured it out at the end with the picture. why are you using initials instead of a person’s name. This is such lazy journalism. Preach it, aoc needs to leave office and our gov is a disgrace for sure.